As I get more accustomed to the social-media side of blogging (which has been such a steep learning curve for me that I feel like I’ve run into multiple concrete walls), I am beginning to understand just how popular it is to foodies. 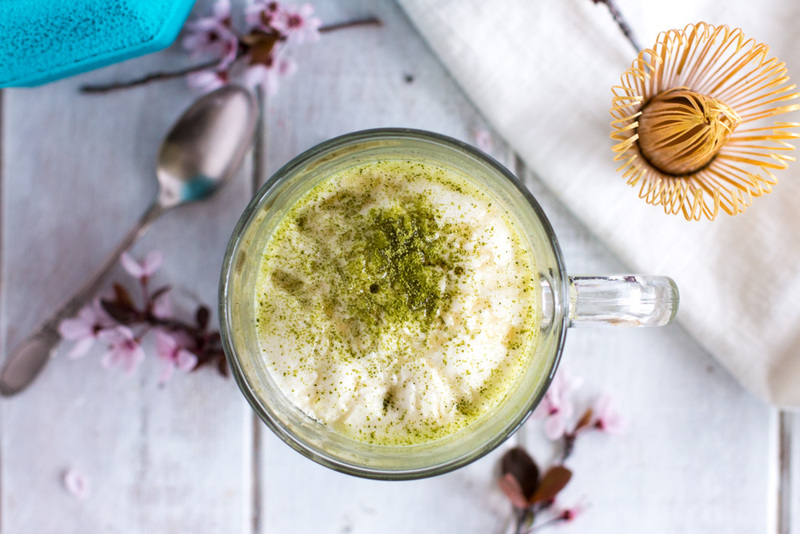 People maybe think of a matcha latte first, then matcha macaroons and desserts, and then possibly of Japanese tea culture. But for me, matcha will always be very connected to my memories and senses. I lived in Japan (1998-2000) when my dad was stationed at Yokota Air Base in Fussa, Japan. And while there I hated green tea. That’s right, hated. I actually don’t even remember trying any other tea but matcha. I was young and the whole coffee-tea shop craze hadn’t really hit my age group yet. But I did try matcha because it was something you were invited to experience. 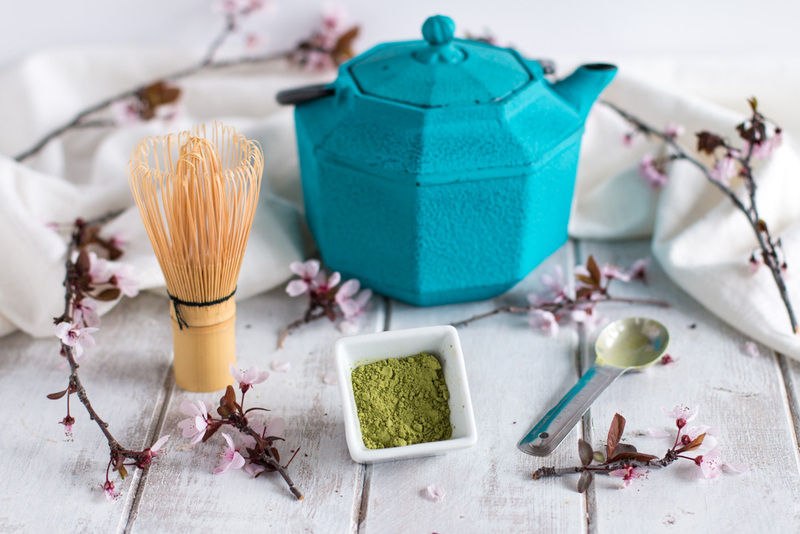 Whether it was at the invitation of off-base friends or through school and Girl Scout field trips, going to a Japanese tea ceremony was part of living there. My mind therefore first jumps to memories of kneeling on tatami mats in large groups watching and participating in Japanese tea ceremonies. I remember how the American adults always looked a little uncomfortable sitting on the floor, their long legs looking awkward and out of proportion. The young people, comfortable sitting on the floor, would fidget because everything moved too slowly for them. I might have been one of those that fidgeted. But I still remember being entranced. Everything in a tea ceremony has a purpose and is steeped with meaning. There is no superfluous movement and in that way it reminds me of a dance: barriers of language dissolve away. Even an idiot can tell that it means something. Of course when it came time for me to take my sip of matcha, I was petrified of messing up the whole ceremony and offending the Japanese. I took a sip and had to control my expression because the taste was so bitter and sharp. After I remember tatami mat flours and bitterness, I think of green light. That’s what I remember when I think of the color of matcha green tea: vibrant, bright, fresh, and alive. The summer months in Japan are extremely green. The light shining through the trees creates a beautiful golden-green glow that is almost unreal. Years later, when I was trying to describe the phenomenon I was left wholly unsatisfied with my words. I ended up doing a search in Google and it turns out, there is a specific Japanese word to describe this type of light: komorebi. There is no single word in the English language that can translate komorebi but it roughly means “sunlight that filters through the leaves of trees.” It doesn’t necessarily refer to the color of the light but more to the interplay between the light and the leaves. Whew, that’s a lot that goes through the mind with just one word. Anyway, on to the Matcha Latte, which is ridiculously easy for tasting so good. First, yes matcha can be expensive. I bought The Republic of Tea’s Matcha, which was $15. It hurt. But using 1 teaspoon for every 8 ounces of fluid, you can make a lot of drinks. And not just any old drinks either. 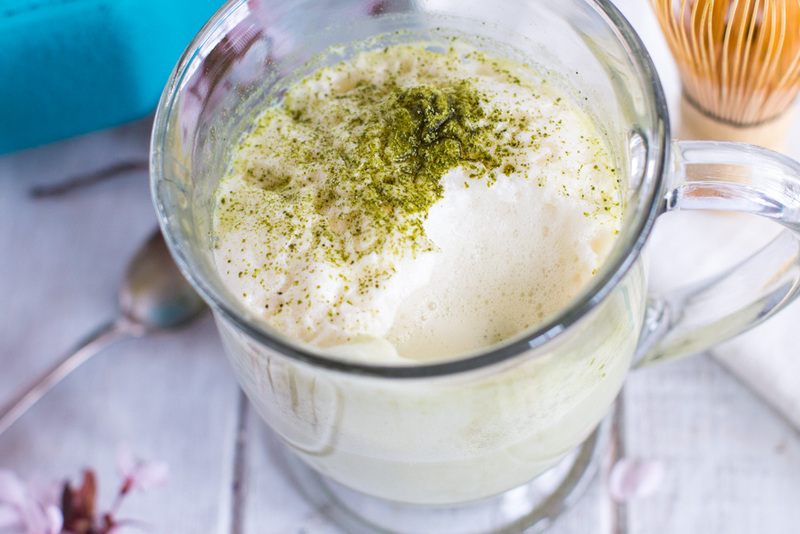 These are café quality matcha lattes. I’ve already had three, which would have cost me somewhere around 10 to 11 dollars. I chose soy milk because Temple Coffee makes an amazing drink (Enlightenment) with green tea, steamed soy milk, and honey that I wanted to replicate. 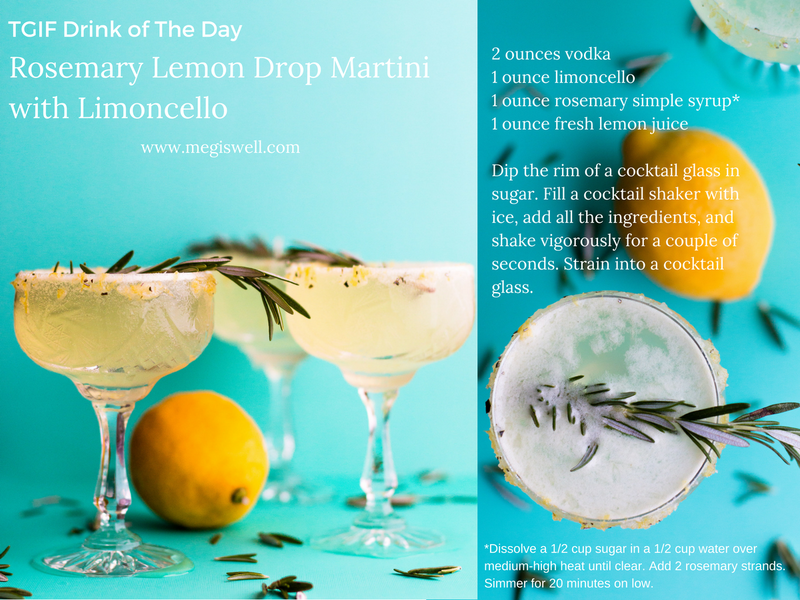 The combo is very relaxing and makes me want to sip on it while listening to rain falling. 2 teaspoons of honey got the taste spot on and it goes well with the matcha. I bought a $2.99 milk frother to make this Matcha Latte when I was at World Market and I think it’s going to be my new best friend. I was skeptical but it is totally worth it. I hope you enjoyed this post. I love sharing stories about food and would love to hear yours. What are the foods that trigger your memories and senses? 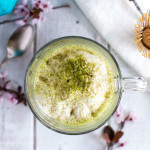 Steamed and frothed soy milk, lightly sweetened with honey, make this Matcha Latte with Soy Milk a cheaper and better tasting version than what you can get in a café. 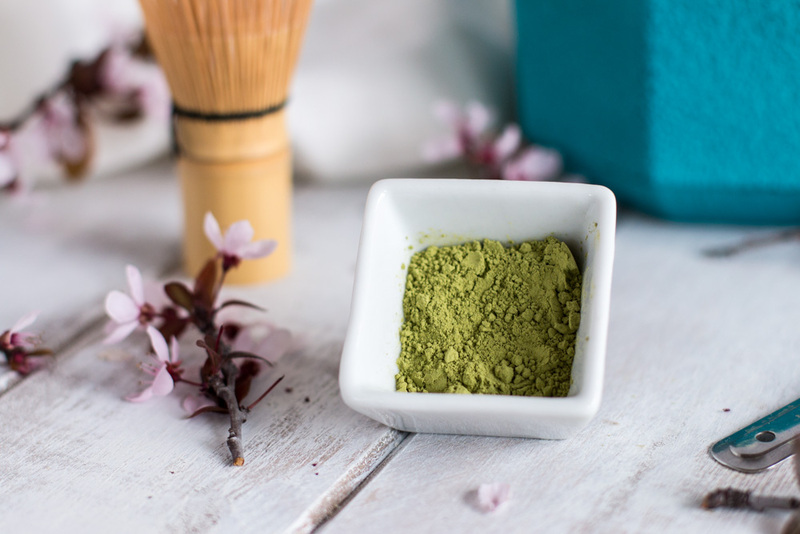 Measure out 1 teaspoon of matcha green tea and using a fine mesh strainer (a tea sized one or a regular one), sift the powder into the cup you will be drinking out of (mug, tea cup, etc.). I would recommend using a large mug. 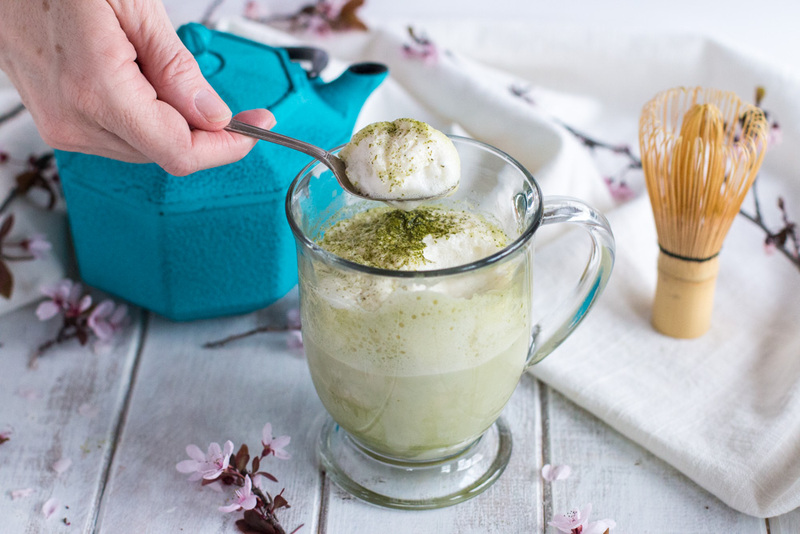 Narrow cups make it harder (and messier) to whisk the matcha. Put the soy milk and honey in a small saucepan and heat on low, whisking a little to blend the honey and soy milk. When the liquid is hot (just about to boil), pour about a 1/2 cup into a small cup and let it cool for 1 minute. Try to get the liquid and not any of the foam that might have formed. Continue heating the rest of the liquid on low heat. 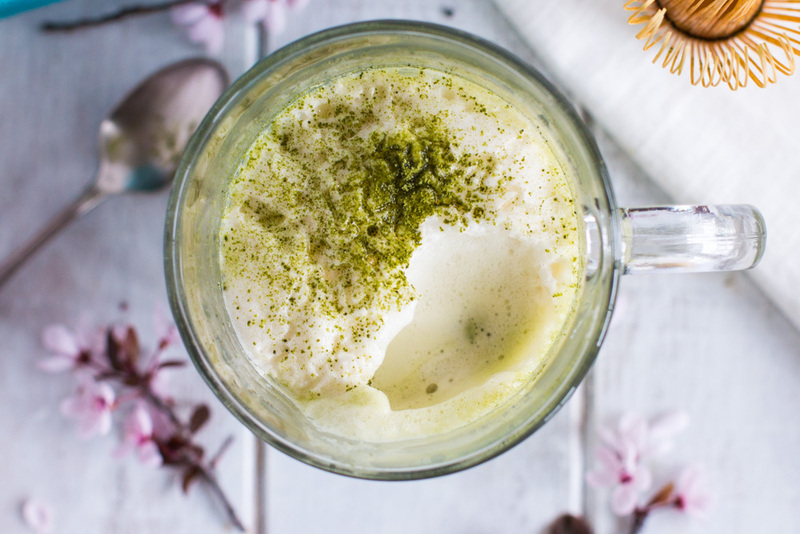 Pour the slightly cooled milk into the cup with the sifted matcha powder. Using a tea whisk, also called a chasen (bamboo whisk), whisk the mixture in a brisk "M" or "W" shaped motion, creating a smooth mixture. If you don't have a tea whisk, just use a fork or spatula and whisk/stir briskly. The point is to break up the matcha so that there are no clumps in the final tea. You want it to be smooth and if possible, have little tiny air bubbles just across the surface. Return to the saucepan and turn the heat up to medium and whisk. Once the milk looks like it is about to boil, remove it from the heat. Take the electric milk frother and turn it on, making sure that the tip of the frother is not completely submerged but just at the surface. Froth for 30 seconds to a minute. Be careful though. Very hot milk can splatter a little if you don't get it submerged enough. 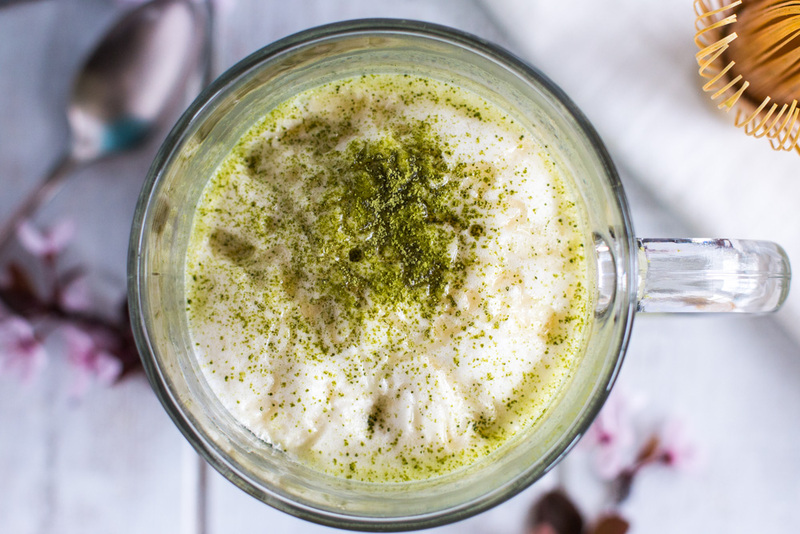 Slowly pour the steamed soy milk into the matcha mixture, making sure that the liquid pours out first and that the foam settles on top of the drink in a thick blanket. Drizzle with more honey if desired and a sprinkling of matcha powder. Just briskly whisking the soy milk and honey together in the saucepan creates surface foam. If you don't have an electric milk frother, you can make this drink the old-fashioned way. The foam won't be as thick and airy but this method still produces enough for a cafe-feeling type latte. Just whisk briskly off and on while you are preparing the drink. When you turn the heat up to medium, whisk vigorously and continually until the soy milk starts to boil. Take off the heat and slowly pour into your cup. You could also try using an electric hand held mixture with the whisk attachment on. This would put more air into the milk, whipping it. Currently living in Fussa and searching for a good tea shop to buy my matcha. Love the soy latte’s ! I hope you can find one! I sometimes like to order mine online so I can have a better selection. I love the little teal teapot in your photos! I know what you mean about the steep learning curve of social media as a blogger. It is such a different world, and can be a little frustrating sometimes. I have been wanting to try matcha forever but still haven’t gotten around to it. Love that I can make them at home now! Pinning! Thanks Meghan! I got the teapot from World Market by the way in case your curious. Love matcha, but never made a latte with it. Pinned to try this!